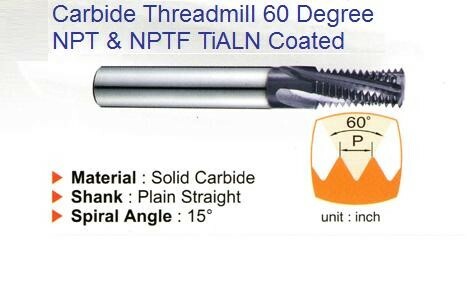 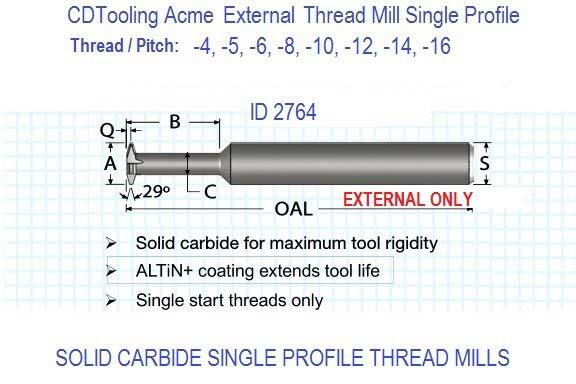 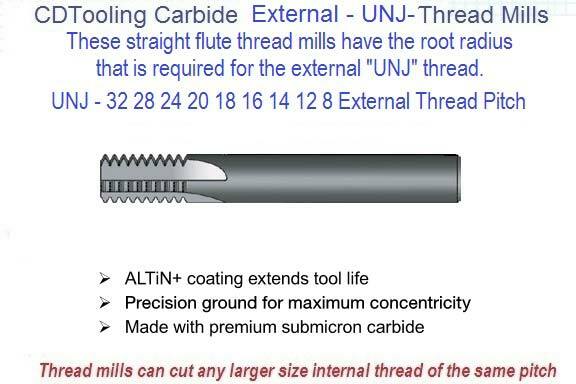 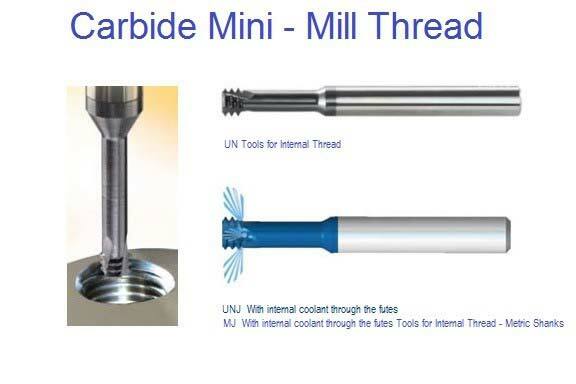 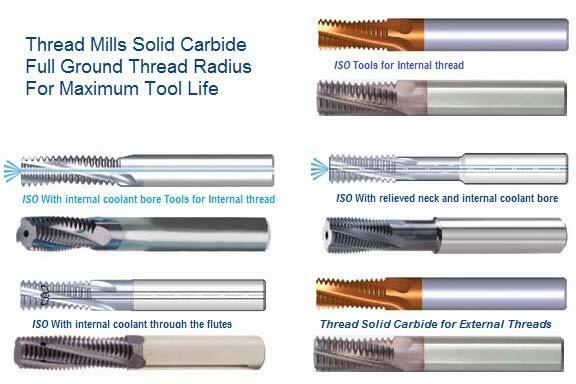 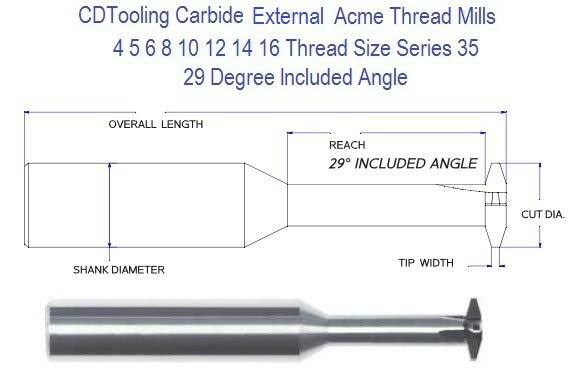 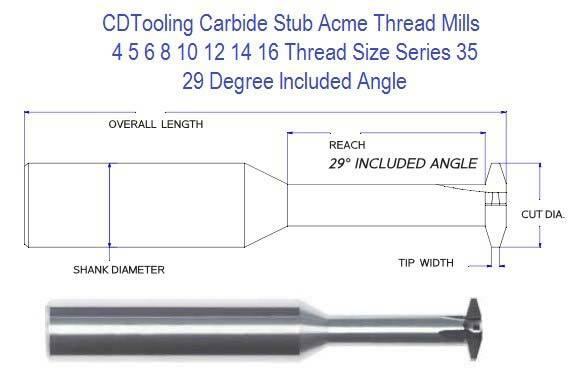 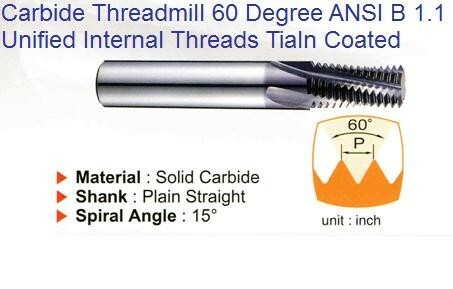 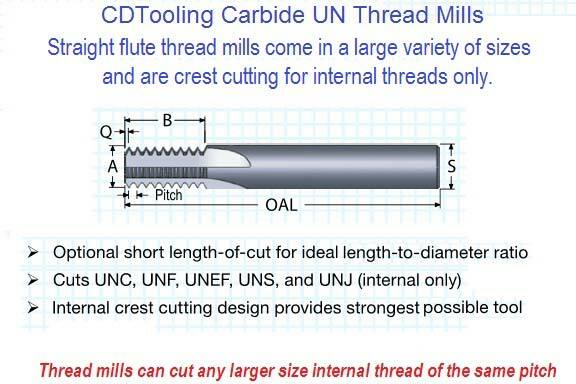 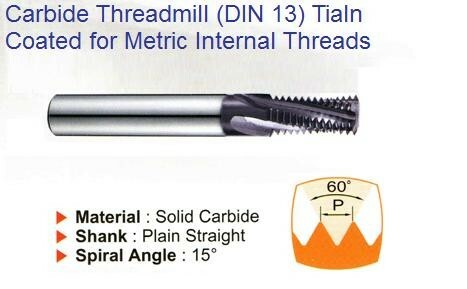 External - UNJ Straight Flute Carbide Thread Mills have the root radius that is required for the external "UNJ" thread. 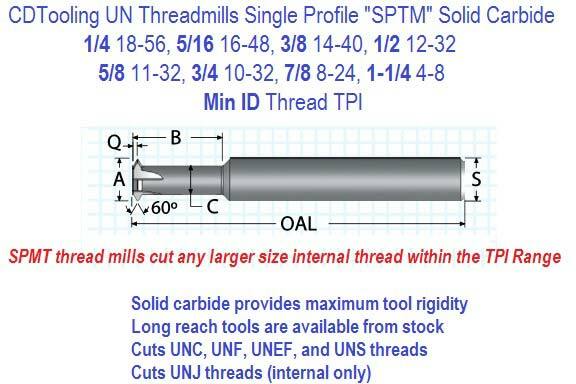 SPTM - UN Single profile thread mills will cut internal and external threads in a range of thread sizes with minimum side cutting pressure. 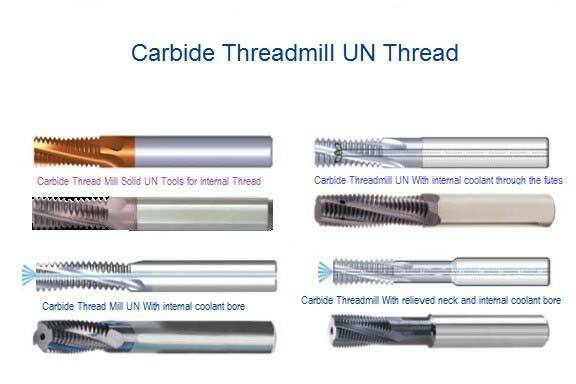 Straight Flute Carbide UN Thread Mills,Cuts UNC, UNF, UNEF, UNS, and UNJ (internal only) Thread mills come in a large variety of sizes and are crest cutting for internal threads only. 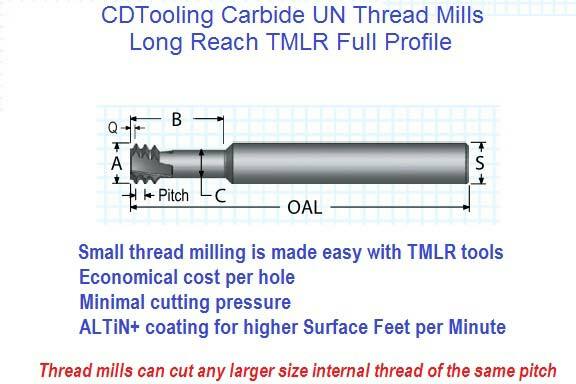 TMLR - UN Long reach thread mills Long reach thread mills have three teeth and a helical flute that excel in internal deep threads and hard-to-cut materials. 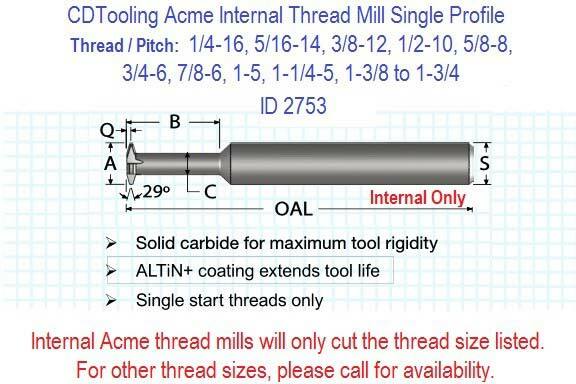 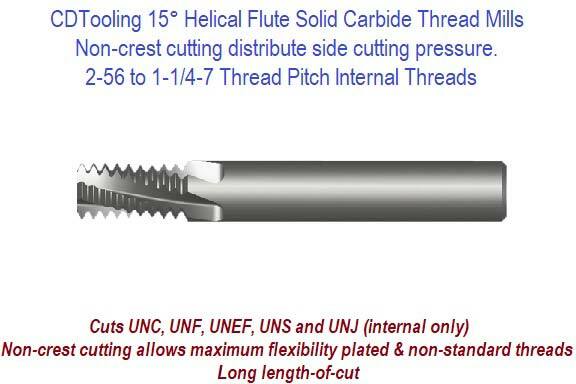 The 15° helical flute thread mills are non-crest cutting for internal threads only. 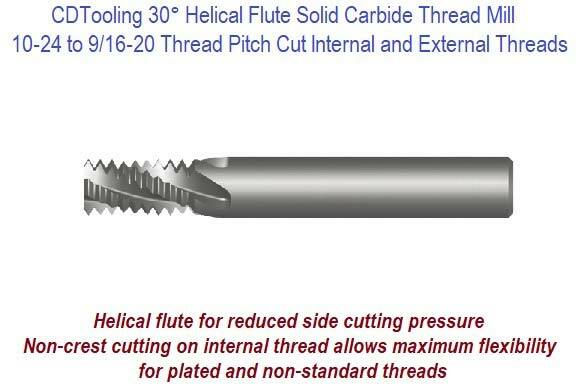 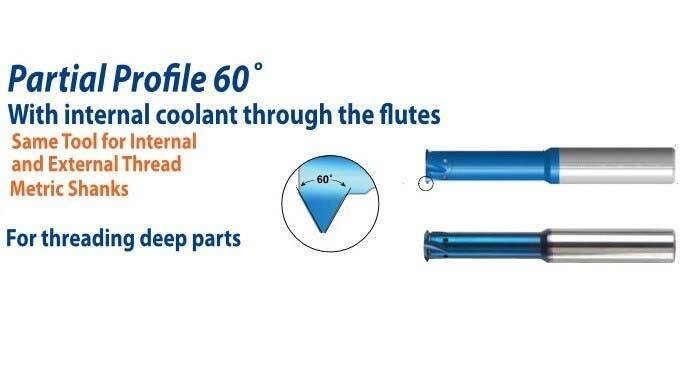 The helical flutes distribute the side cutting pressure.